Pepperdine classical guitar students will perform a free concert in the Surfboard Room at Payson Library in Malibu on Tuesday, December 12, at 5 PM. 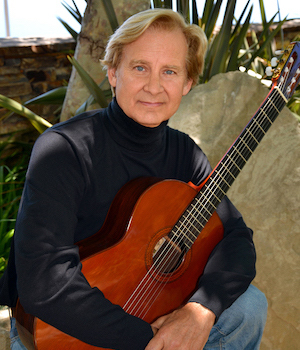 The students will present pieces they have studied under the instruction of internationally recognized classical guitar virtuoso Christopher Parkening, distinguished professor of music at Pepperdine University. Parkening has served as the Christopher Parkening Chair in Classical Guitar since 2002. The Parkening International Guitar Competition—which honors his lifetime commitment to fostering musical excellence in young artists—is held every four years. Parkening has performed around the world, including at such prestigious places as Carnegie Hall and the White House. His television appearances include The Tonight Show, The Today Show, Good Morning America, and 20/20. He has recorded over 20 albums, and earned two Grammy nominations in the “Best Classical Recording” category. For additional information about this concert, visit the Pepperdine University Libraries website.